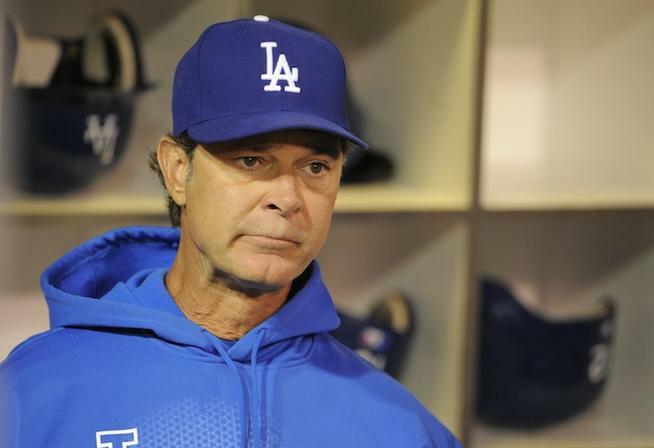 Should Don Mattingly be worried about Ron Roenicke looming over his shoulder? He should. It is a “Bleeding Dodger Blue” episode of The Sully Baseball Daily Podcast. There is parity in the AL. The Yankees are flying. The Red Sox are reeling and it is a long season, but one that is already over for Ron Roenicke. It is a save the team Episode 923 of The Sully Baseball Daily Podcast. Tim Lincecum, Justin Upton, Sonny Gray, Evan Gattis, Chase Anderson, Nolan Arenado, Nathan Karns and Seth Smith all added to their totals for Who Owns Baseball? We are back from an extended period of not writing articles here at the MLB Reports to weigh in on the World Series Odds for next campaign. As we did last year, we will update this as a weekly segment for the next 10 months until the winner is crowned. I can tell you right now, the favorites based on so-called “winning the offseason” hardly ever pay off. If that were the case, the Yankees would have been crowned last year, with spending $503 MIL on 10 Free Agents, or also the Rangers would have been second with bringing in Prince Fielder and Shin Soo-Choo. The odds doled out for free wheeling Padres and Cubs are my top two picks to stay clear of wagering with the value currently constituted. There are two teams in a similar view, not given enough credit. The Milwaukee Brewers had a modest 2013 season, yielding a 74 – 88 record. They finished 23 games back in the NL Central (ahead of only the Chicago Cubs) which saw three of its five teams reach the playoffs. The farm system cupboards are bare, with not one single top 50 prospect in it’s ranks. A rebuild is necessary but general manager Doug Melvin seems more in tune with adding free agents instead of using home grown youth (Although they do have a few on their current roster). The Brewers are picking a respectable 12th in this years Major League draft, and every effort must be make to start making those picks count, or the club may find themselves on the outside looking in while division opponents Cincinnati and Pittsburgh regularly see post season play. As recently as 2011, the Brewers held the National League Central Division title. Historically the fans are still biding their time though, having not seen a pennant since the Brewers were in the American League and won it in 1982. Milwaukee’s own Robin Yount won the AL MVP that year, but the Brewers inevitably lost out in the World Series to the St. Louis Cardinals. Besides a 2008 Wild Card birth – and a 2011 NLCS appearance – it’s been a rough ride for this ball club for the last 32 years. 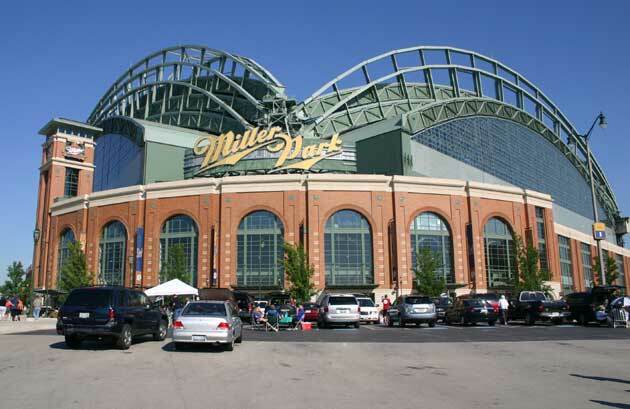 Miller Park is a place that promotes tailgating before the game – and even offers incentive for it. This place routinely draws over 3 Million Fans – and is one of the most profitable clubs. In recent years, the management has taken runs at CC Sabathia,, Zack Greinke and Shaun Marcum. The franchise has given a lot of prospects back in these trades. Is there anything left in cupboard – yep! 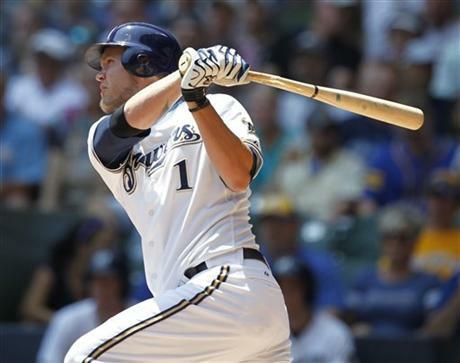 Hart is a 2-time All-Star (’08 and ’10) who has been very valuable to the Brewers with his ability to play multiple positions, and hit anywhere in the order effectively. He also brings 100% effort to the field every night which has made him a fan favorite. Corey Hart, 1st Baseman for the Milwaukee Brewers, is currently on the shelf for a third straight Spring Training. In 2011 it was an oblique strain, in 2012 it was torn cartilage in his right knee, and in 2013 it is a torn meniscus in his knee. In each of the past two seasons the injuries didn’t seem to have a negative effect on his production when he returned. Hart will be 31 on opening day, and this his second knee problem in the past two years, so it is concerning. However, seeing him come back earlier than expected from the last surgery is keeping him optimistic that he could come back early from this one too. Doctors have said Hart should be back by late May, but like I said, the hope is he can return sooner, but he’s still a little while away. That leaves the Brewers with a big hole to fill. Corey Hart moved to 1st base from Right Field after Mat Gamel tore his ACL last season, and Hart had success there. Unfortunately Gamel has torn his ACL again this spring, so he is not an option to replace Hart. Just to give you an idea of the production they will be without while Hart is on the DL. 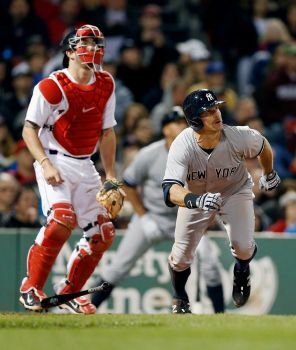 Hart hit .270/.334/.507 in 2012 all right around his career average. Over the past 3 campaigns Hart has averaged 29 HRs and 83 RBI per season while averaging 141 Games Played per season.